High Street Networking was founded in 1998 with the only objective - to provide services for all professional needs of Forex Traders all over the world via internet-based trading system Trading Desk ProTM. From 1998 HSN is using internet trading software system (client terminal, brokerage system and so on) called Trading Desk Pro from our partner Forex Euroclub Ltd., one of the largest financial software providers. HSN is using this system because it was the first dealing software that has integrated internet dealing, charting, news and money transfer modules in the world in 1998. High Street Networking was the first company in the world that offered mini forex servicies (10 000 base currency trading lot) via internet based trading system. To make money transfers easier for the clients Forex HSN was established as an off-shore company and was based in Seychelles, Mahe, Victoria, Sham Peng Tong Plaza, 103. Our servicing Bank (Loyal Bank) is the leading international bank in St. Vincent and the Grenadines with customers from more than 120 countries. Regulated by International Financial Services Authority, audited by KPMG, it is the member of Commerzbank Banking Group that provides forex and banking services all over the world. For 15 years, from 1998 till 2013 we`ve been working for more than 6 000 traders, providing mini forex services to clients from various countries from the USA and Europe to China and Indonesia. Each member of System, is using the client interface, has his/her own level of the access to information and functionality of the Trading Desk 2005TM system. The Activity of High Street Networking is regulated by the Trading Rules integrated in the Trading Desk ProTM. Study Level — Students (demo accounts). Forex Dealers — are Market Makers of Trading Desk ProTM system with their own aggregate accounts which allows them to open individual trading accounts for their clients and provide them with access to their dealing room. All clients orders are executed under the direct control of the High Street Networking. Forex Traders — Clients of the Forex dealers. Traders, can open or reopen their individual trading account(s), deposit their marginal funds and trade currencies on forex market. 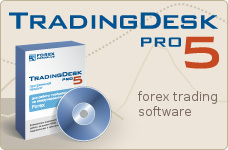 Students — Can be anyone interested in trying a demo account of the Trading Desk ProTM free of charge. Also, anyone who'd like to take part in the competition and try his own high profitable strategy based on forex trading. To contact High Street Networking please fill out this form. Our dealer or support team will answer your question as soon as possible.